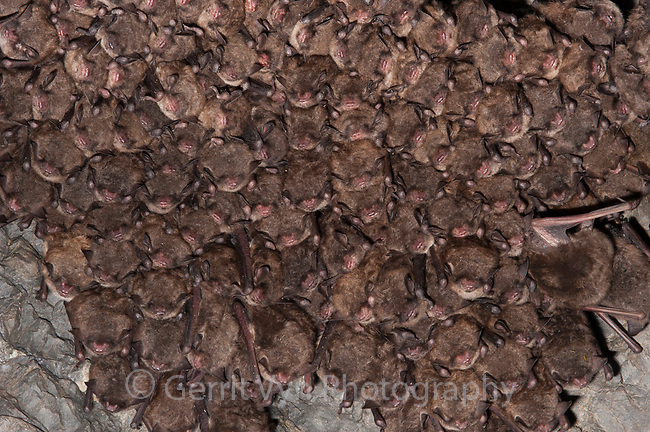 Endangered Indian Bats (Myotis sodalis) hibernating in a mine in eastern New York. Ulster County. January.